What are the requirements for comelec registration? For those who will register, comelec advises that you photocopy your requirements. To register, you only need one (1) valid ID. will also be taken on-site. 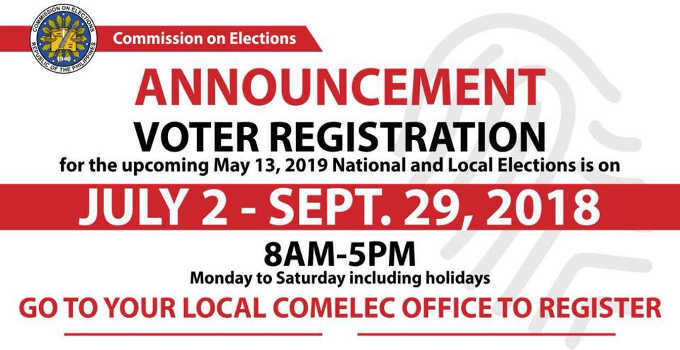 registration in preparation for the May 13, 2019 national and local election. were 11,277 applicants for male and 15,579 for female.